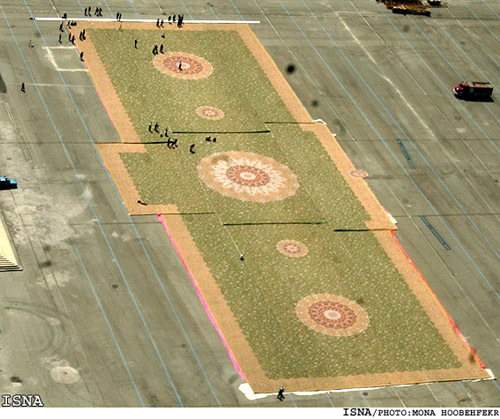 The world's largest hand-woven carpet 'Qasr al-Alam' has been designed by an Iranian artist on the order of Emir of Oman. 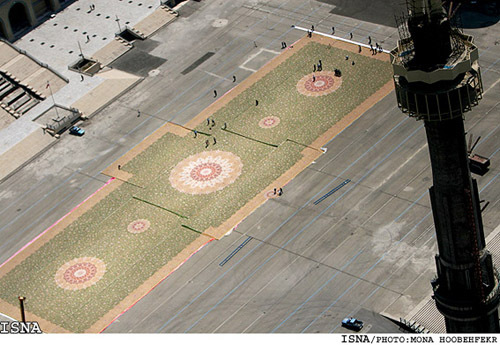 The carpet was unveiled in Tehran on July 31. It has taken 18 months for Ali Khaliqi to design the carpet and although the patterns do not belong to any specific region of Iran, they are generally traditional patterns, CHN news agency reported. Khaliqi describes the carpet as a great masterpiece, stating, "It's not only noted for its size but also for its trapezoid shape containing one concave, and one convex side". The 5,625.15-square-meter carpet will be spread at the Sheikh Zayed Bin Sultan al Nahyan Mosque in Abu Dhabi, Jalaleddin Bassam added. 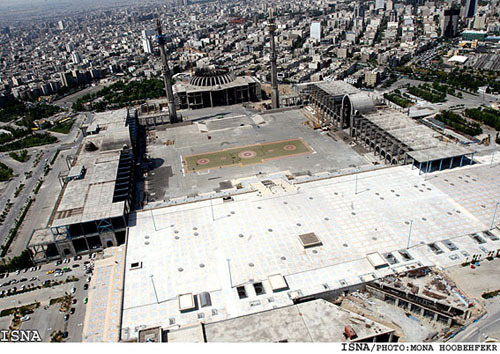 It took weavers 2 years to make the 2.2-billion-knot carpet, he said. Ambassadors and envoys of Islamic countries to Iran have also visited the on-going weaving process of the world's largest carpet. 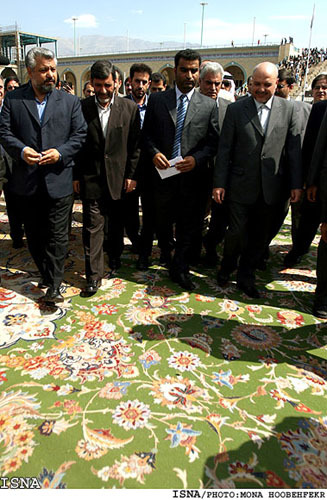 Public Relations Department of Iran's Carpet Company announced that the visit had positive outcomes and that many of the ambassadors had become eager to order carpets. Iran's Carpet Company has decided to organize public tours to further familiarize people and journalists with this great art. 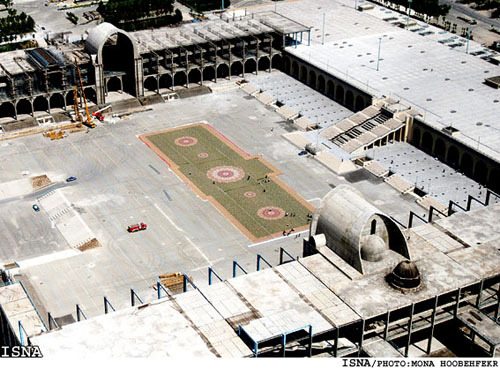 "There were many countries such as China, India, and Nepal on the list of Emirates nominees for handling the project, but Iran was chosen for its facilities, and experienced weavers," said Hassan Ansari-Nia, the manager of Khorasan Carpet Company in Iran.